‘Eurobubble’ is a web mini-series, which unveils the lives of young European Union (EU) professionals. What lies ‘inside’ the Eurobubble then? 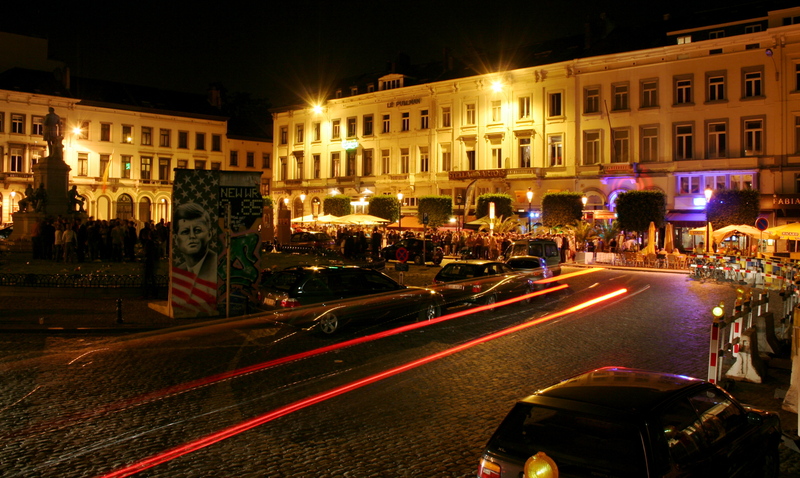 As the capital of the European Union (EU) institutions, Brussels has always been an attractive place to work for many Europeans and non-Europeans alike; including not only “Euroculturalists” studying MA Euroculture but also graduates from other fields of study. It offers many possibilities to start a career in EU affairs and has the highest percentage of foreigners in the whole of Belgium. With the recent economic crisis in Europe, it seems that it is becoming all the more attractive as a place to work for young graduates and professionals from all over the world. The fact that a high percentage of fellow MA Euroculture graduates are seeking to start their career with a traineeship in one of the EU institutions or in an EU-affairs related Non Governmental Organisation (NGOs) is just one example. At the same time, there are many stereotypes about life in Brussels, the most common being that all EU professionals (or ‘Eurocrats’, as they are more commonly called) and also EU-related professionals, for example in NGOs and consulting agencies, are geeks who are often underqualified and overpaid. This brings up the question of whether these stereotypes are true and what life in Brussels is really like. One of the best, most recent and more original attempts of answering these questions and providing a ‘view behind the scenes’ is the web mini-series “Eurobubble”, which was initiated by a group of young European professionals and originally started out as a blog. The title “Eurobubble” refers to something which many people who have lived or are still living in Brussels can clearly identify with without the need for explanation. For young Eurocrats and EU-affairs professionals, life takes place in a sort of ‘city within a city’, which is limited to contact amongst themselves. It rarely involves local Belgians, and from the outside is seen as a picture difficult to define and even harder to understand – something which equates to a “bubble”. At first glance, the web mini-series simply portrays the lives of young Eurocrats in Brussels from an ironic perspective and shows all kinds of daily experiences, including job hunting, attending meetings and conferences, finding love, and going out in the evenings. The story is told from the perspective of one young graduate, it begins from the moment he moves to Brussels searching for a new job. His role is played by the main producer and screen writer of the series, Yacine Kouhen. The audience is never told the protagonist’s name; instead, he is simply called “the Policy Officer” after his job title. At second glance, however, what becomes apparent is the fact that there is a certain peculiar life style and ‘rituals’ that make life in the “Eurobubble” worth living, helping to establish a common feeling of belonging. Most young professionals who come to Brussels have a common interest in working in an international environment, and getting to know people from all over the world. Many of them speak more than one foreign language and, as shown in one of the “Eurobubble” episodes, have spent at least one semester as an Erasmus student abroad. Yet it is not only their common past experiences and education which help them to integrate more easily into this ‘city within a city’. They also share the feeling of being foreigners in Brussels who are disconnected from the rest of the city and ‘normal’ Belgians (those born Belgian); and the mini-series truly exceeds in capturing this particular mood. Furthermore, most of the young Eurocrats start out as trainees in one of the EU institutions, or as interns for one of the many NGOs and lobby organisations which have established themselves around the institutions. “Stagiaires” (the French word for interns), as these interns and trainees are commonly called in Brussels, often have to make ends meet with a low or non-existent salary in a city where the living expenses are amongst the highest in Europe and the rents are often (and sadly) somewhat disconnected to what people can actually pay. A recent outcry against unfair internship conditions took the form of a number of demonstrations under the name of “sandwich protests”. These protests were organised by Brussels interns this past July and unveiled the fact that, for their lunch, many interns are forced to gather free sandwiches from conferences and events due to their insufficient or non-existent salaries. What is indeed left for these young “Eurobubblers” is a great number of activities, the most important of all being “pluxing”. “Pluxing” involves a weekly meeting of stagiaires and young professionals for happy hour on Thursdays at bars in the Place du Luxembourg PLUX, right behind the European Parliament. According to ”Eurobubble”’, “pluxing” is not only about getting to know new people, flirting, and asking for phone numbers, but also about networking. At the same time, of course, what makes life in Brussels worth living is the possibility of starting a well-paid career and finally leaving the ‘stagiaire life’ behind. Many young professionals dream of meeting someone through the many opportunities of networking, be it at a conference or at PLUX, and finally making their way into one of the EU institutions or NGOs. “Eurobubble” even states that because of networking, one is never more than three degrees separated from a potential new employer or an important personality who could help with getting a well-paid job. Having already completed two internships in Brussels, I can agree that “Eurobubble” provides a good, entertaining, and funny overview about what daily life in Brussels as a young professional or stagiaire is like, and how it resembles a life in ‘a city within a city’. However, one also has to take into account that there are exceptions to this rule. A sense of belonging to a certain place can happen through various other experiences one connects with that place. These are usually more personal and might be less related to the general shared experiences of “Eurobubblers”. An individual might, for example, connect their sense of belonging to certain favourite spots they have discovered in the city, such as cafés or bars, sights or museums, or simply the flat they are living in. Moreover, they might even go so far as to leave the “bubble” and get to know locals from “outside the bubble”. In this sense, one can argue that it is possible to work in Brussels as a European professional but connect to what is happening outside of the “Eurobubble”. After the release of the last episode of the web-series last month, the producers of “Eurobubble” published a call for contributions and stories on their website and Facebook page in order to create a more fleshed-out series next year with the help of a collective writing team. That said, it will be interesting to see what “Eurobubble” still has in store, considering that stories can come both from personal life and serious politics. Link to the website: http://euro-bubble.tumblr.com. 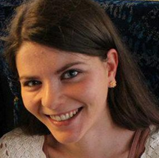 Susanne Wander is from Germany, where she completed a BA in European Studies at the University of Passau with majors in Political Science and English studies as well as a semester abroad in Wales and an internship in the European Parliament in Brussels. She studied Euroculture at the University of Groningen (the Netherlands) and the University of Göttingen (Germany) and completed an internship with the NGO European New Towns and Pilot Cities Platform (ENTP) Brussels. Her interests include European identity and politics, especially in the context of transatlantic relations. She loves travelling and living abroad but is also deeply rooted in her German home region of Franconia. This is also why she is convinced that it is possible to combine regional and national identities under a shared European identity. Reblogged this on KRAKOW Euroculture.